Book eight was a classic fantasy novel. Before there was a famous king named Arthur, there was a curious boy named Wart and a kind old wizard named Merlyn. Transformed by Merlyn into the forms of his fantasy, Wart learns the value of history from a snake, of education from a badger, and of courage from a hawk–the lessons that help turn a boy into a man. Together, Wart and Merlyn take the reader through this timeless story of childhood and adventure–The Sword in the Stone. T.H. White’s classic tale of the young Arthur’s questioning and discovery of his life is unparalleled for its wit and wisdom, and for its colorful characters, from the wise Merlyn to the heroic Robin Wood to the warmhearted King Pellinore. I wanted to read some classic and well-known fantasy in this challenge, and this is probably the quintessential British fantasy story. Also, I visited Tintagel last year, and I’ve been on a bit of a King Arthur kick since then. This book was a reasonably clean read. The protagonist, Arthur (known as Wart) is a young child throughout 90% of this book, and sections of it would probably be suitable for reading out loud to younger children. 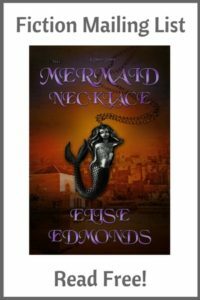 No bad language–its brushed over, and no romance elements at all. There is some violence including jousting and a boar hunt. The story is a series of vignettes or incidents in the life of the young Arthur. He lives in a castle with his adoptive family, Sir Ector and his son Kay, and acquires Merlin the magician as a tutor. The actual story that you will know as The Sword in the Stone only fills the last couple of chapters. This book has a very charming writing style. It was written in 1938 (and forms the first book of a five-volume series called The Once and Future King). It’s worth reading from the point of view that it’s a classic, telling a well-known legend with a twist of its own. I’d not read any tales of Arthur as a child before, and it’s interesting to have that insight into his earlier life. Not being a legitimate son of Sir Ector, he grew up thinking he’d be a page to his brother, Kay, who was destined to be a knight, and yet he’s a cheerful lad who accepts his way of life and enjoys it. Merlin was by far my favourite character. I wish there had been more of him in the book. Also, in this version, he’s a time-traveller who lives life backwards, and there are a lot of fun anachronisms surrounding his life. This confuses Merlin a lot and makes for interesting reading. There is no plot. As mentioned, the sword in the stone story itself fills the last two or three chapters. All the incidents of Arthur’s childhood could be read as stand alone stories in their little chapters. Merlin educates Arthur by turning him into various animals, birds and fish. And then the story tells what the experience was like for Arthur. This is repeated with about four different creatures. It’s pleasant enough, but in the long term, it doesn’t really have a point. There’s an adventure with Robin Hood, which is good, and a few recurring characters, but it’s a very gentle read. I got bored about three quarters of the way through because nothing was developing, and kind of skimmed the rest. I’m glad I read this, because it’s such a classic, and I’d even go as far as to tell people to check it out simply because of what it is. But the recommendation would be more for interests’ sake than because it’s a good story. I won’t be continuing the series. Merlin’s always been my favorite character from the King Arthur myths–if you ever want to read books and/or series based around him, I can recommend several good ones. The traveling backwards in time is an element I’ve seen in other stories, though I’m not sure where it originated from–possibly White’s book. 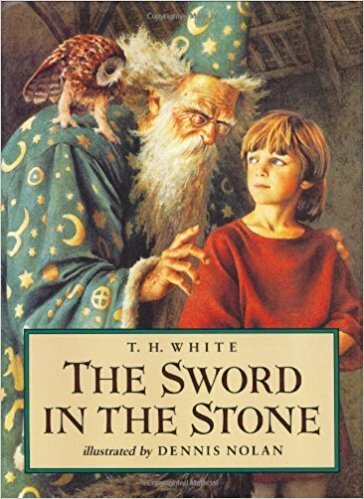 I think I’ve read The Sword in the Stone years ago, but given that I don’t remember much of it, I probably had the same reaction you did–got bored and started skimming. This is one of my favorite books. I do agree that it starts meandering as it goes along, though. For me, the first part when Arthur is a boy and the very end are what makes the book. I still get goosebumps when I come to the conclusion. Yes the middle was where I began to lose interest a bit..